I thought it might be fun to put together a list of my personal favorites from this year. Now keep in mind, I have a very limited amount of time to read and a broad age-range of literature to try to keep up with, so this is not meant to be a comprehensive list by any means. Some of these were suggested to me, some were assigned for class, and some I just chose to read because they looked interesting. These are all books that I actually read, from beginning to end. Most were published in 2017 or the latter part of 2016, though a couple are older and one that I received as an ARC won't be out until January. 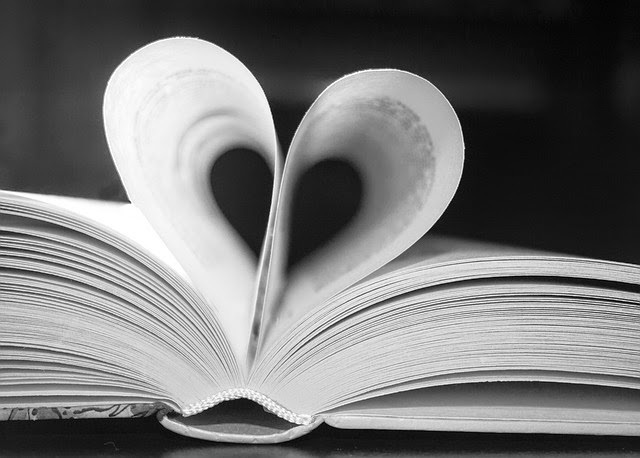 This post will cover teen and adult; I'll cover middle-grade and picture books in the following posts. I'll include a short blurb for each, and link the title to any full reviews I may have written. Be sure to leave me a comment about great books I missed! 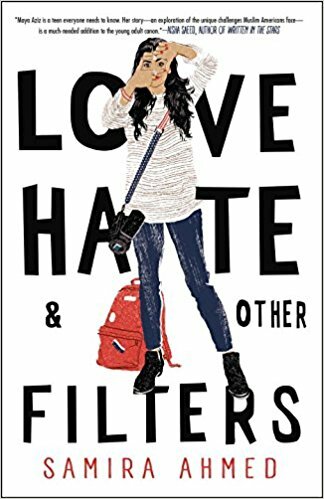 Love Hate & Other Filters is a debut novel by Samira Ahmed that won't actually be out until next month (Jan. 16, 2018), but I was fortunate to receive an ARC via NetGalley. Keep an eye out for this one! I thought it was really good and tackles not only timely issues like Islamophobia and violence, but is also a coming-of-age story dealing with typical teen issues of family, conflicting values and expectations, friendship, and romance. The Librarian of Auschwitz by Antonio Iturbe (2017, first published in Spain in 2012) is a fictionalized account of real people and true events during the Holocaust, set mostly in Auschwitz. This is a very powerful and multi-faceted story centered around Dita, a young teenager who is given the responsibility for taking care of the 8 books they have managed to smuggle into the camp. These books are used in the clandestine school they have organized in the camp, under the guise of the simple childcare they are approved to provide. When Dimple Met Rishi by Sandhya Menon (2017) is a lighter read that has some similar themes to Love Hate & Other Filters, but without the violence and hatred. Like Maya, Dimple's parents are more traditional and want her to stay close to home, marry a suitable Indian boy, and have babies, but Dimple has other goals. Unbeknownst to her, they have already tentatively arranged a match and set up a situation for them to meet and get to know one another. However, Rishi is unaware that Dimple has been kept in the dark, which leads to a disastrous first meeting. 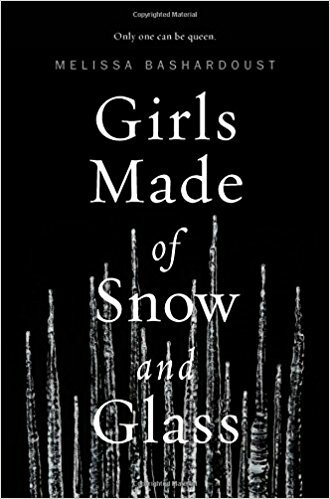 Girls Made of Snow and Glass by Melissa Bachardoust (2017) has been referred to as a feminist re-telling of Snow White. While fantasy and mysticism usually aren't my thing, I first read an excerpt of this in a preview book from NetGalley and found it very compelling and intriguing, so I requested the ARC, and was not disappointed. I Am Not Your Perfect Mexican Daughter by Erika L Sánchez (2017) is the story of Julia, a Mexican-American teenager who feels that no one understands her and that she will never measure up to the memory of her "perfect" older sister Olga, who was tragically killed in an accident. As Julia tries to work through her feelings of grief over Olga's death and resentment at being constantly compared to her, Julia discovers that Olga wasn't the "perfect Mexican daughter" everyone thought she was. Gabi: A Girl In Pieces by Isabel Quintero (2014) isn't a brand-new book, but I just discovered it this year as part of a multicultural youth literature class (incidentally, the professor was on the committee that selected this book for the Morris award). It has many similarities to I Am Not Your Perfect Mexican Daughter, but the protagonist has healthier coping mechanisms and does not sink into depression, therefore it is much lighter in tone. In this story we see all the struggles Gabi and her friends and family go through during her senior year in the form of Gabi's diary. And Gabi has a lot to deal with: body image, a domineering mother who expects her to be a "good Latina girl", a meth-addicted father, a best friend that's pregnant, another that has just come out as gay, and trying to find romance. Gabi copes with it all with humor, food, and discovering her talent for poetry, which leads to some truly beautiful poems within the book. The Sun Is Also A Star by Nicola Yoon (2016) is a teen romance with multicultural characters from last year that I absolutely loved! This not-quite-so-typical tale of star-crossed lovers features two teens who meet by chance on a critical day and have a whirlwind romance while dealing with serious decisions and challenges. Natasha's family illegally immigrated from Jamaica and are facing deportation; Daniel is a dutiful Korean son and plans on doing as his parents expect, going to Yale and becoming a doctor, even though he is an artist at heart. Simon vs. The Homo Sapiens Agenda by Becky Albertalli (2015) stars a teenage boy who happens to be gay and is a bit hesitant to "come out of the closet" for fear of rocking the boat, but is really about all relationships, those with family, friends, and romantic interests. The main character has good relationships with his parents and siblings, and a strong circle of friends, all of whom he thinks would be okay with his being gay, yet he still hesitates to tell anyone. Until a classmate accidentally sees a e-mail exchange between Simon and his secret pen-pal, and uses it to blackmail him into interceding on his behalf with a romantic interest. The Hate U Give by Angie Thomas (2017) is of course on everyone's list this year, and was chosen as both best YA book and best book by a new author by Goodreads readers, and I'm sure will get more honors at the YMA's. This is the story of Starr, a teenager living in the inner city who struggles with a dual identity as she splits her life between her friends and family in the neighborhood, and her more wealthy, predominantly white, suburban friends at the private school she attends. She has already witnessed the death of a childhood friend in a drive-by shooting, then tragically witnesses the shooting death of another friend in a traffic-stop gone bad, which causes her to question everything, and throws her neighborhood into turmoil. Unbecoming by Jenny Denham (2016) tells the stories of three generations of women in the same family, each with their own secrets. Mary is struggling to hold on to her memories of her colorful past, and sacrifices that she made that her daughter never understood. Caroline struggles with caring for an elderly parent she barely knows and has always resented, as well as being a single mom to two teenagers, one with special needs. Katie is the peacemaker, trying to mediate between her mother and grandmother while dealing with her confusion about her sexuality and fear of telling her mother. The Martian by Andy Weir (2014) is the story of astronaut Mark Watney, part of the first crew to land of Mars, who becomes stranded there when an accident separates him from the rest of the crew when a storm forces them to immediately terminate the mission and leave the surface, mistakenly thinking Mark is dead. Now he must fight for survival. I loved this book! I read it after seeing the movie, and while the movie did follow the book fairly closely, I really liked all the details the book filled in. If you are not a science person, it might drag on a bit in places with all the detail, but that I was I liked about it. It filled in some of the how's and why's the movie glossed over, and allowed the reader to be be inside the main character's head. Hidden Figures by Margot Lee Shetterly (2016) inspired the movie, which actually focused on just one small period of time covered by the book, and took many artistic liberties with both the events and timeline. The book is not just the story of Katherine Johnson, but tells the entire story, starting in WWII when the division of the defense department that would years later evolve into NASA began recruiting women to do all the calculations needed to support engineering. I have to confess these were the only 2 actual adult books I read this year! I have so much I'd like to read, but so little time, so since I work in youth services I do generally focus my reading time on middle-grade and YA fiction, but still only manage to read a small sampling. There is just never enough time! So, there's my list, for what it's worth! Some I know everyone has heard of by now, but there might be a couple you're not familiar with. 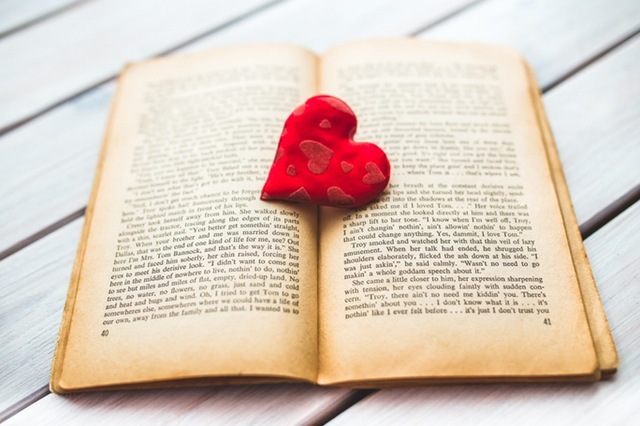 What great books did you come across this year that I missed? Tell me in the comments! I want to hear from you, not just the awards committees!